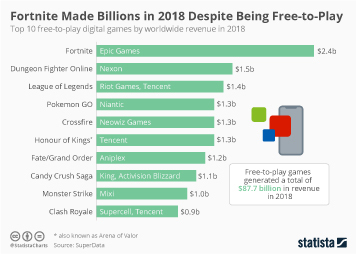 According to Newzoo’s latest global games market forecast, the roughly 2.3 billion gamers around the world will spend a record $137.9 billion on computer, video and mobile games this year. 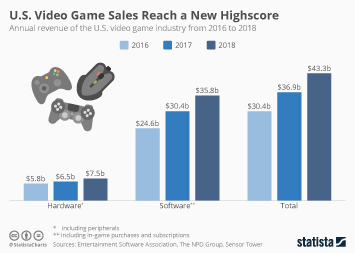 Mobile gaming will be the largest segment once again, accounting for 51 percent of global games revenue. 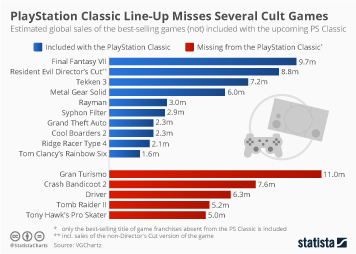 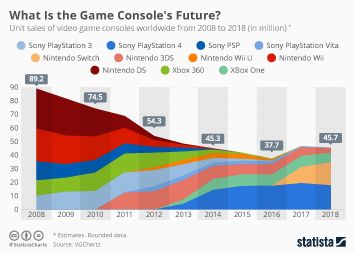 Meanwhile PC games are expected to fall behind console games in the race for the second largest gaming platform. 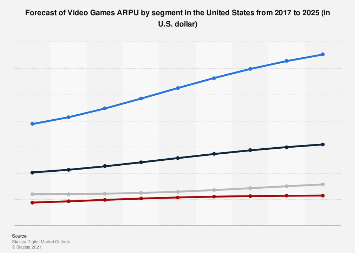 As the following chart illustrates, mobile games have seen incredible growth over the past few years, first catching up with and then leaving PC and console games way behind in terms of global revenue. 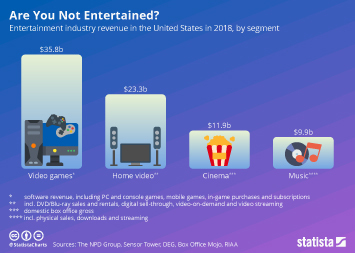 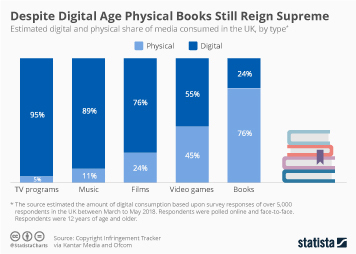 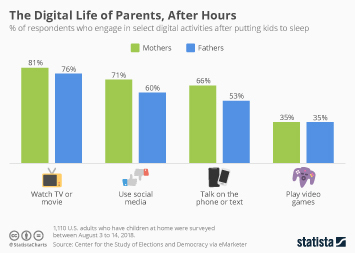 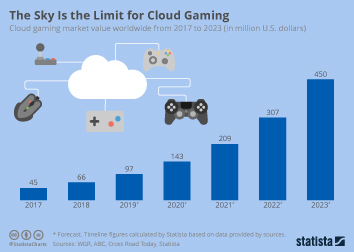 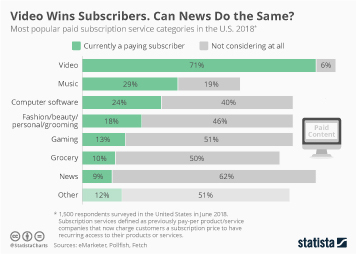 While mobile gaming used to be an isolated segment, mainly targeted at casual gamers, smartphones and tablets are now powerful enough to compete with dedicated gaming consoles and PCs in terms of gaming experiences. 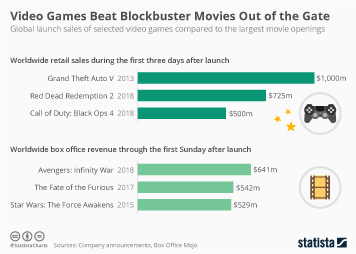 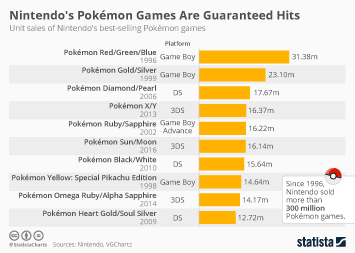 Many of today’s most popular games, such as Fortnite or Minecraft, can be played across platforms. 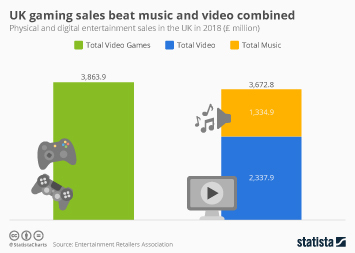 In some games, players on mobile devices can even directly compete with fellow gamers playing on video game consoles or PCs, bringing down the last walls between different gaming platforms. 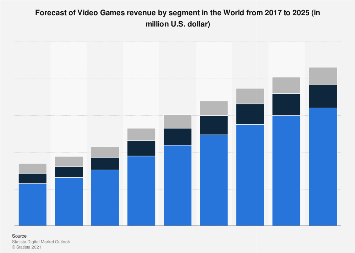 This chart shows a forecast of global video game software revenue.